Vista is a range of budget shaggy rugs available in a multitude of solid colours as well as multi-coloured options. The rugs sit at the top end of budget shaggy rugs available on the market today; they feature a 5cm pile height, and are of course offered at great value. 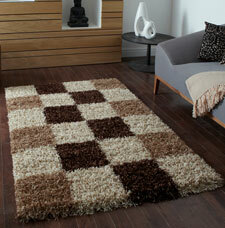 Furthermore, the Vista rugs are available in a multitude of sizes including extra large ones.